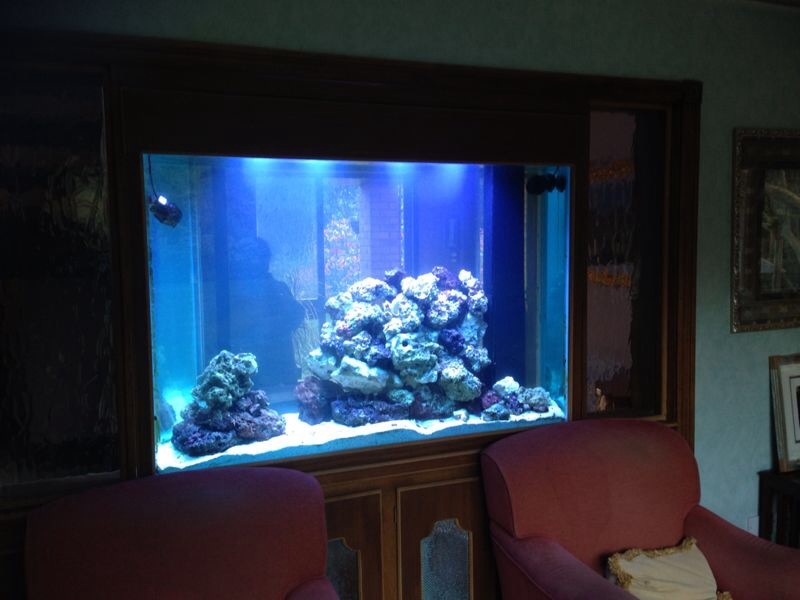 When the customer called us this tank was in dire straights and needed a complete overhaul. The tank still had water in it but had had no livestock present for some 18 months. We completely drained down and cleaned the tank. Next we checked all of the equipment for suitability and to see whether or not it was operational. Remarkably after all that time the skimmer, return pump and heater were all good to use. We replaced the lights at the customers wishes with 2 Eco Tech ‘Radion’ LED lights. 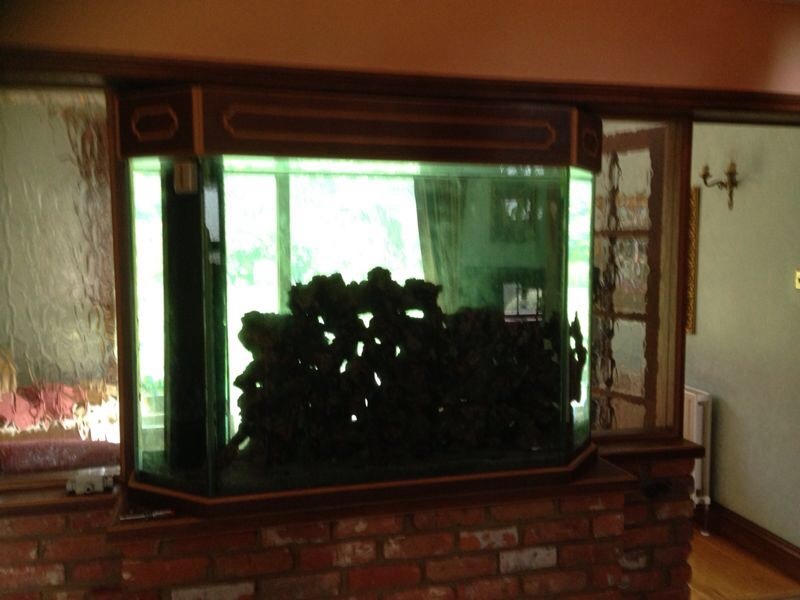 Within a week the customer had added their first fish and the tank is now once again the focal point of the house with over a dozen fish and a big clean up crew (livestock pictures to follow).